Nothing has changed for the Uyghurs! Despite the inhumane practices in Chinese prisons, countries like Malaysia, Thailand, Pakistan and Uzbekistan deport Uyghurs. President of the World Uyghur Congress Rebiya Kadeer was in Paris for the pre-preparations of the world Uyghur women conference which will be organized at the end of April. The conference seeks not only to discuss the problems faced by the Uyghur women and children scattered throughout various countries in the world, but to also bring together women from other ethnic groups who live, and face exclusion, in China. It is expected that 130 to 180 participants from nearly 100 countries will join the conference. Rather than being mostly political, it is expressed that the conference will focus on efforts regarding the rights of women and children. However, the organizers are not without concern that the conference might be canceled prior to the Netherlands’ visit to China in the spring. As President of the World Uyghur Congress, Rebiya Kadeer is the voice of Uyghur people in the outside world. In the article she wrote in the Washington Post last year, she expressed hope for the government change that would take place in China, and indicated that she believed that the severe conditions to which Uyghurs living in East Turkestan are exposed would be eased. However she states that “since the election of Xi Jinping, over the last three months three Uyghurs have been sentenced to death, so he cannot trust him. She adds: "The Uyghurs are not permitted to request a passport. Even if they had done nothing prior to the Chinese New Year, the homes of Uyghur families have been searched." She explains that the information from East Turkestan does not reflect the reality and that pressures on Xinjiang have intensified (Le Monde). Passport and visa problems are among the problems well known to Rebiya Kadeer. Many countries, especially the Republic of China, consider her a "persona non grata." What is happening in East Turkistan forces Uyghurs to migrate primarily to neighboring states. The passages which cannot be obtained through legal ways are sought within the framework of rights "provided by international law." But it is hard to say that this too occurs smoothly. The economic and diplomatic balance in the region is not in favor of the Uyghurs. The policies adopted by the members of the Shanghai Cooperation Organization in which economic cooperation with China takes place also include the joint fight against terrorism as among the forms of cooperation. Within this framework of cooperation, groups which China considers as terrorists cannot easily apply for asylum in Central Asian Republics. Furthermore, according to the US-China balance in Asia, countries trying to establish good relations with China do not hesitate to deport Uyghurs who seek asylum by ignoring the protection obligations prescribed by international law. 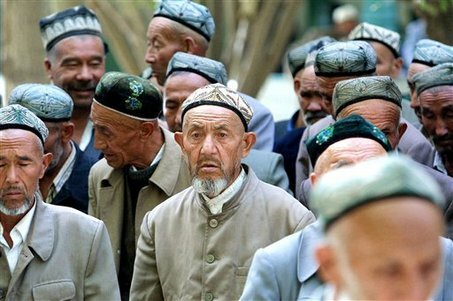 In order to prevent Uyghurs from seeking asylum following the 2009 uprisings in Urumqi, China apply intense pressure on regional countries. By labeling Uyghurs as "terrorist, radical Islamists and separatists," China requests help from other countries in the region, especially under the framework of a joint struggle against terrorism. These pressures are not limited to only the countries in the region. Pressure is also applied to countries with economic cooperation through indirect pressure. In early 2012, six Uyghurs were tried to enter Malaysia with fake passports and seek asylum were secretly deported to China in a helter-skelter manner during the last days of December. With the emergence of this humanitarian scandal at the beginning of February, Malaysia became the target of international organizations. The deportation of these arrested Uyghurs despite it being known that they were in contact with the United Nations High Commissioner for Refugees and that the Commissioner was in contact with Malaysia for their “asylum” to be granted was considered as a clear violation of international law by the UNHCR whose headquarters are in Geneva. What happened in Malaysia was neither the first nor will it be the last. Prior to this, 11 Uyghur asylum seekers had been deported to China in 2011. Like Malaysia, other countries in the region, such as Malaysia, Thailand, Laos, Pakistan, Vietnam, Cambodia, Uzbekistan, Kyrgyzstan and Kazakhstan do not hesitate to send Uyghurs back to China. The World Uyghur Congress has called for the international community to condemn countries for sending Uyghurs back to China knowing the inhumane practices in Chinese prisons. Even though the Chinese government indicated that things had calmed following the events in Urumqi in 2009 and there had been positive developments, things are not as they seem. 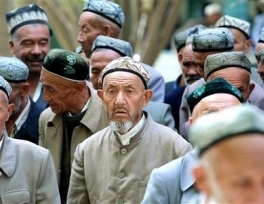 As the conversion movement launched by the Chinese government in various cities, such as Kashgar, is deleting the traces of Uyghur civilization, it is desired that the local culture will be assimilated into the dominant Han culture. In the light of recent events, can we suppose that the administration which does not hesitate to arrest the deported Uyghurs who sought asylum treats the Uyghurs living in East Turkestan with compassion?